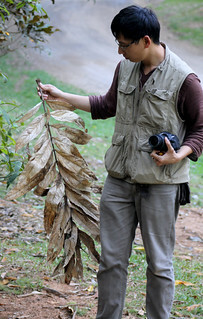 I am David Tng and I am a plant ecologist and botanist. 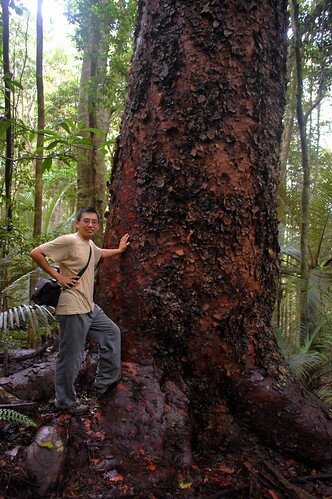 I completed my Ph.D studies on the ecology of wet eucalypt forests in Far North Queensland. I then spent over a year (since June 2013) in the Daintree to make a reference collection for the Daintree Rainforest Observatory at Cape Tribulation. Currently, I am working in Brazil at the Federal University of Bahia, Salvador, which is roughly at the same lattitude as Cairns. Having had the privilege visit some fabulous places and to get to know some wonderful plants I decided to set up this blog as a testimony to the great wealth of plant biodiversity in Far North Queensland, with an emphasis on the Wet Tropics Bioregion and the Wet Tropics World Heritage Area (roughly the area between Cooktown down to Townsville). I have no qualms about including non-natives anyways. They are plants too. 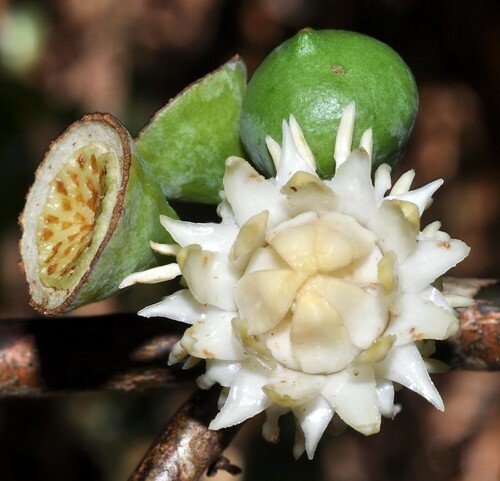 This blog also documents a personal and ongoing journey to make an acquaintance with the plant life of Far North Queensland as part of the process of learning the flora for my Ph.D studies and for my work. My approach in this blog however, is not a purely academic one, and can be summed up as such: each plant is a being worth knowing! And knowing plants is an activity of pure joy. With over 4000 or so species in the region alone, the immense diversity of plant life, both native and non-native can feel very overwhelming for both newbies and veteran botanists alike visiting the region for the first time. Even among local experts, it is unlikely that anyone can know or remember every plant. Faced with an ostensibly impossible challenge to learn the flora, I have decided to allow the joy to be in the journey itself, and this blog aims to reflect that philosophy. Meeting each plant individually is a joy in and of itself! Anyone who has learnt to appreciate and love plants will very likely say that the key to knowing plants is to develop an eye for spotting distinctive characteristics, first of families, then of genera and of specific species. Of course, the process is highly organic and often one will learn family, genera and species characters simultaneously as they go along, and also the many exceptions to these “rules”. This blog attempts to provide information on such characters and will be written in layman’s language as much as possible, and attempts will be made to define technical terms used. Since taking plant photos, particularly macros, is also another one of my all-consuming obsessions, I thought that blogging as many plants I get to know would be a good way to share what I have had the pleasure to encounter, and also a good way to organize my photos into a meaningful checklist for the region and also for certain localities of interest. As a result, I will be constantly updating entries by adding photographs or additional descriptions as I get to know each plant or a place better. Please feel free to share your insights and experiences as well in the comments section, or connect with me on Twitter (@davidtng) or facebook (https://www.facebook.com/davidtng). Enjoy the Flora of Far North Queensland! About the header: The header above is a scene taken from the Cattana Wetlands near Yorkeys Knob, just north of Cairns. Read also about the scales used in this blog. You are a self-appointed guardian of our plant diversity. Thank you! Keep up the good work of traveling and sharing so that we may enjoy what you have seen. Isnt our world beautiful? Did you see all the different types of aloe in the world? I was fascinated when I visited the New York Botanical Garden and saw over 25 varieties in their conservatory. I put an article on Aloe and included I believe about 25 photos. Do check it out sometime. Also, I am following you and would be traveling with you through this blog. Hi David. My interest in Australian Native plants mostly revolves around food provision. I have an orchard an hour south of Cairns, where I live in World Heritage rainforest. My aim is to rehabilitate the edge growth with food producing natives. I also am doing a degree in Sustainability, which is where my interest in growing native food comes from. I would love to learn more and grow a greater variety, as well as learn about the fruits I find already growing on my 100 acres. Is it possible to upload photos from time to time for you to identify? Thanks for the mine of information already on your site. Great stuff David…keep up the good work…its so interesting and I hope it opens a few peoples eyes as to all the beautiful plants that we are so lucky to have up here in this region. I am most impressed with your website and the information. I stumbled across your website while trying to identify a fern in the Blackall Ranges (inland from Sunshine Coast). The layout and structure of the Plants by Families and other aspects of your website are great. hi have you seen borassus flabellifer? Have you seen the Blushwood tree (hylandia dockrilli)? Hi Sharon, yes I have, but I haven’t yet seen the flowers and fruits.